Located about 20 miles southeast of Phoenix, and close to the Salt River, Mesa was founded in 1878 by Mormons from Utah. It was called Mesa because it is located on a plateau, or “mesa” which is a bit higher than the Valley floor. Mesa really started to grow during World War II, when, in 1941, two bases were built to train pilots. Falcon Field, now Falcon Municipal Airport, was built for the British Royal Air Force. Later on, Williams Air Force Base, now known as Williams Gateway Airport, was built for U.S. pilots. After the war, many military families returned to Mesa to settle down. Cultural and educational opportunities abound in Mesa. There are many museums located here, including the Arizona Museum for Youth, the Commemorative Air Force Museum, the Mesa Historical Society, and the Mesa Southwest Museum. There are numerous sporting complexes, among which is the Hohokam Park, which is home to Major League Baseball’s Chicago Cubs during Spring Training. Mesa is a community for all ages. There are several retirement communities in Mesa, as well as excellent schools and family neighborhoods in which to live. 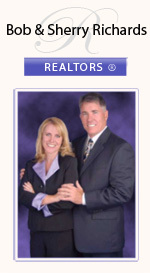 You can find everything from Mobile Homes, to condominiums, to single family residences and parcels of land in Mesa. The area has experienced steady growth, and continues to increase in population.